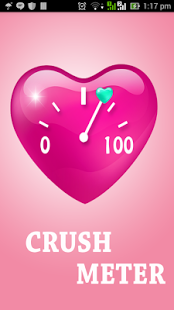 Crush-O-Meter Love Calculator: Three Meters for Three Relationship Levels in One App! Compatibility meters and love calculators have been around for years now. Such is their popularity that apps have been developed for the specific purpose of revealing the compatibility of people, as well as the strength of their relationships. Whether you are a believer of these apps or not, you’ll probably find it hard to resist using Crush-O-Meter-Love Calculator. With this app, there are three meters relationship meters that people can choose to use. The Crush Meter, the Love Meter, and the Friendship Meter. Judging from their names, one can already assume the function of each one.The Friendship Meter is obviously the “lighter” of the three, as it only measures the strength of you and your friends’ friendship. The Crush Meter, on the other hand, reveals the chances of you and crush ending up together and if love will ever blossom between the two of you. For users who mean business, though, and want to know if their bond with their significant other is still strong, then they have the Love Meter to use. In all three meters, two names serve as the bases of analysis. The user has to enter them on the app’s built-in text boxes. Once these have been entered, a percentage, signifying the likelihood of love or strength of the relationship, will appear. The higher it is, the better. One other good thing about the meters is that they encourage couples and friends to find out ways to strengthen their bonds better through brief phrases that come with their rating. Based on the said features, the one which makes Crush-O-Meter-Love Calculator different from other crush calculator and love prediction apps in the Google Play Store is its combining of three separate relationship meters into one app platform. This way, users don’t have to rely on other apps just to find out how they stand on each one. That the three meters form a kind of hierarchy is no accident, as interpersonal relationships inevitably develop into more intimate forms. Overall, this app is something that hopeless romantics would probably not think twice to try out. Indeed, the entire concept of the app arguably goes right up their alley. Even if you don’t consider yourself as such, has the thought of finding out whether your crush is equally interested in you or not never crossed your mind? Surely, you can find time typing you and your crush’s name and pressing a few buttons, right? Such is the drawing power of this relationship calculator app. It capitalizes on the cousin of desire, which is curiosity. And,regardless of how accurate the app is, it, more often than not, induces in the user a certain degree ofsuspension of disbelief. And, with that alone, Crush-O-Meter-Love Calculator triumphs.